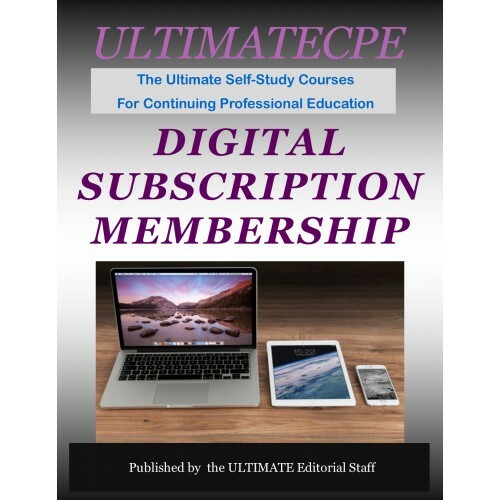 With this annual subscription you will receive 12 months of unlimited access to over 100 digital courses; including ethics. Subscribers will have access to the most practical guidance and analysis in the industry in the form of downloadable PDFs. You have the ability to learn anytime, anywhere at a pace that works for you. Exams are taken through your UltimateCPE account which provides instant scores and certificates . Once you subscribe you will place your order using the online shopping cart however you will see a price of $0! 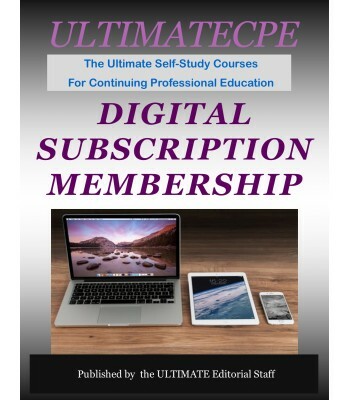 Order today and start downloading the course material.